Gambling is a huge part of the city’s tourism and also an important part of its history. Most of these luxury casinos are part of the best hotels in Biloxi MS that are open for the public 24 hours a day. Hotels in Biloxi MS that host luxury casinos are the high-end hotels in the city, but if you are staying in one of the cheap hotels in Biloxi MS you can still have fun in their casinos because they are open to public. Originally there was no casino on land in Biloxi, because according to the Mississippi law gambling venues should only be built off the land on barges. This is the way the local authority isolates gambling activities from the public. Things changed greatly after Hurricane Katrina struck the area in 2005. All the floating casinos were destroyed, so during the recovery period a new law was passed that finally legalized land casinos. That’s the moment when Biloxi finally started to become one of the biggest gambling communities in the USA. There are 8 luxury casinos in Biloxi that take place in Biloxi MS hotels. Some of the most popular ones are the Beau Rivage, Hard Rock Hotel & Casino, IP Resort & Casino, and Harrah’s Gulf Coast. Besides hosting the best casinos in the city, these resorts also provide first-class accommodations with great facilities including pools, fitness centers and many others. Some of these resorts even have entertainment venues and concert halls where they host various wonderful shows featuring famous entertainers like Martina McBride, ZZ Top, Jay Leno and many more. You can find everything you would expect from a world-class casino here in Biloxi. These casinos host various games from slots and other gaming machines, roulette, table games, as well as poker rooms and card lounges for big gamers. One of the main features of Biloxi casinos that make this gambling city becomes very popular so quickly is because everything is much more affordable here when compared to other gambling destinations. The rates of accommodations and other services in the resorts are significantly cheaper, and even the minimum bet in the casinos are significantly lower. This is one of the most famous landmarks in Biloxi, even in Mississippi. Built in 1848, this is one of the first lighthouses made of cast iron in the South. Another thing that makes this lighthouse quite unique is that it was operated by several female lighthouse keepers until 1939, which was really unusual at that time. 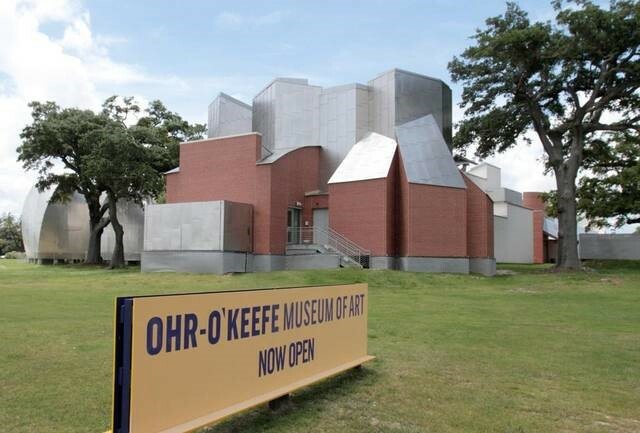 It suffered some damages when Hurricane Katrina struck, but today it has been fully restored and functional. This island is a very popular getaway for the locals as well as tourists who visit Biloxi, especially for those who travel with family. It has beautiful beaches with white sands, you can relax and have fun playing with your kids on the sandy beach. There are also many other interesting attractions on this island. One of the most popular ones is the Fort Massachusetts that was built for defending the coast during the war in 1812. Some other activities you can enjoy on Ship Island include fishing, hiking, and birding. The island is only about 11 miles away from Biloxi shoreline and can be reached with a ferry. This is a fairly new stadium and home to the Biloxi Shuckers, the local minor league baseball team. This stadium starting to operate in June 2015 and since then have hosted lots of great matches and world-class concerts. This museum displays modern ceramics, sculptures and other abstract art forms. The founder of this museum is George E. Ohr, a unique artist known as the “Mad Potter of Biloxi”. A lot of art exhibits in the museum are actually his work. You shouldn’t miss this site when visiting Biloxi, because it’s probably the most important historical site in the city. Beauvoir is a 52-acre property that has the Civil War Museum Confederate Cemetery, Presidential Library and a botanical garden. This was the retirement home of Jefferson Davis, the Confederate president.